We have many animals who need special help! Please consider donating to a specific animal. Help with Meredith’s family of 6!!! Abandoned mom and her newborns need your help! It was a cold and frigid night just before the recent snowstorm when a kind soul brought this shivering mother and her babies to CACC. The kittens were still so young, their eyes weren’t even open yet, if left outside, they certainly would have perished. They are now safe in foster care with FCACC, but we need to raise money for their shots, care and spaying. Kitten season has started early this year and our ability to help these orphans is based on our donations. Don’t these beautiful little souls deserve a chance to find homes? Three little grays, two tabbies and a Siamese mix along with their mom will be forever grateful to you for this chance at life. 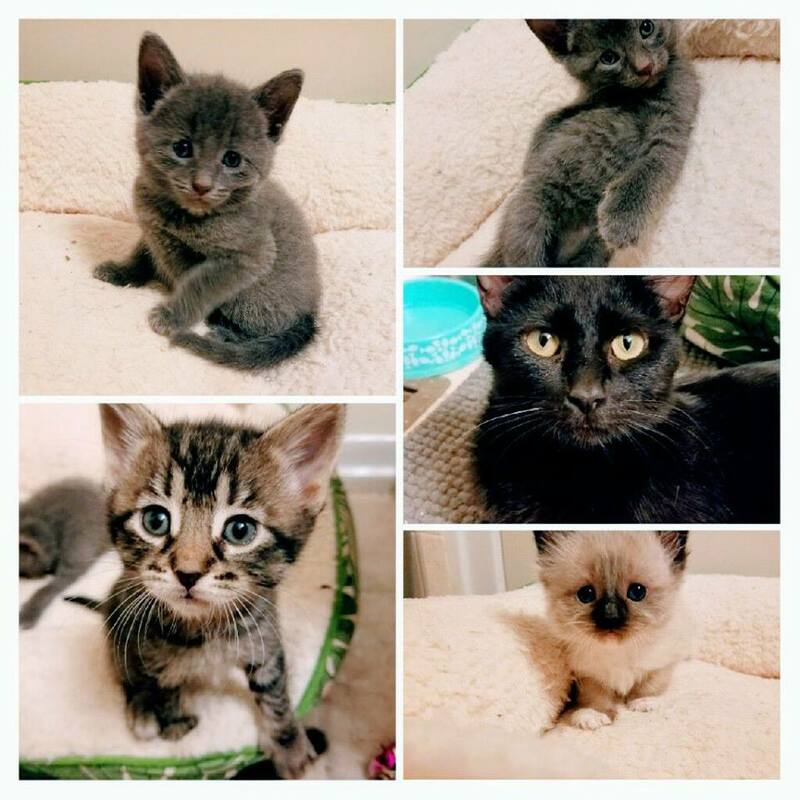 Please help us save these little ones! Thanks for helping this homeless family find their forever homes! !